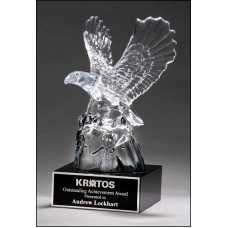 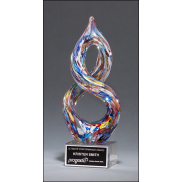 K9117 Beautiful carved crystal eagle on black crystal base. 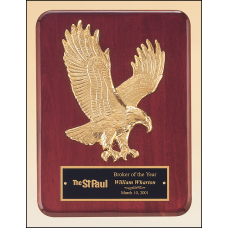 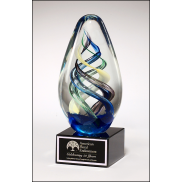 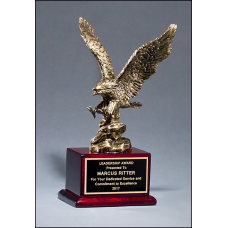 4.5" x 9.5"Laser engravable aluminum plate.Individually gift boxed.All Airflyte Optical Crystal Awar..
P1681 American walnut plaque with a sculptured relief eagle casting. 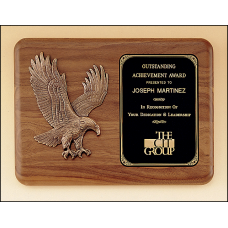 P1682 American walnut plaque with a sculptured relief eagle casting. 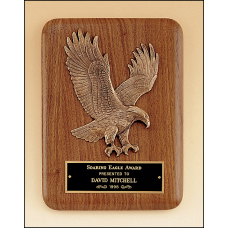 P1683 American walnut plaque with a sculptured relief eagle casting. 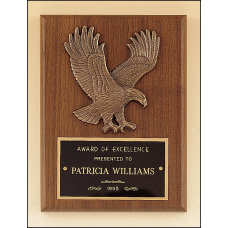 P1784 American walnut plaque with a sculptured relief eagle casting. 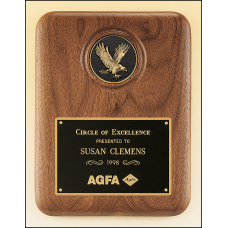 P2294-X American walnut plaque with a finely detailed black and gold eagle medallion. 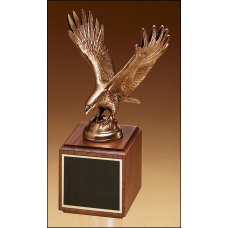 P2296 American walnut perpetual plaque with 12 black brass plates and a sculptured relief eagle casting. 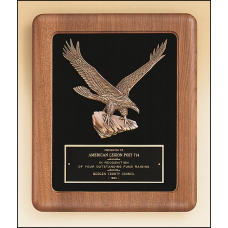 P2394 Solid American walnut Airflyte plaque with a large eagle and American flag casting. 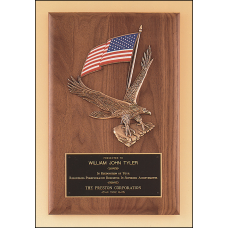 P2395 Solid American walnut Airflyte plaque with a large eagle and American flag casting. 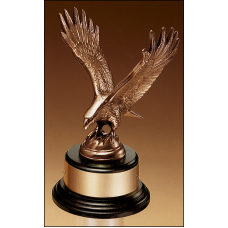 P2397 American walnut Airflyte frame with a sculptured relief eagle casting on a black velour background. 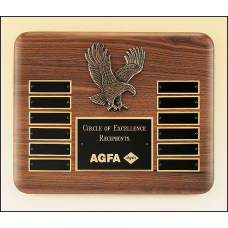 P3168 American walnut plaque with a finely detailed black and gold eagle medallion. 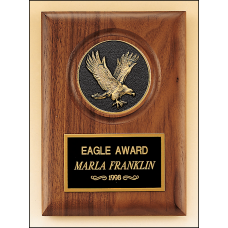 P3749 Rosewood stained piano finish Airflyte plaque with goldtone finish sculptured relief eagle casting.